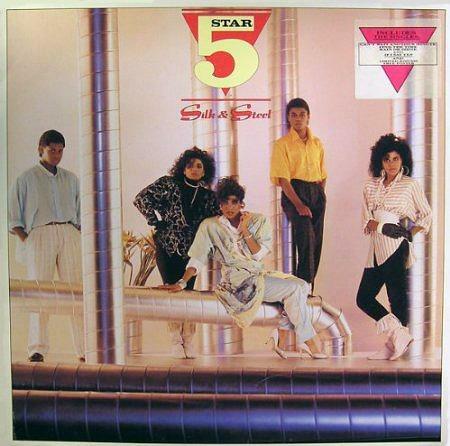 British pop and R&B group, Five Star, released a string of solid and catchy pop tunes during the 80s. Borrowing elements of their style from the Jackson 5, the quintet released four successful studio albums during the eighties, their most successful being Silk And Steel. Released in 1986, it topped the UK album charts achieving 4x Platinum in sales. Rain Or Shine was the third single to be released from the album and was also the band's highest-charting, reaching #2 for three weeks. It was kept off the #1 spot by The Communards Don't Leave Me This Way. The group's last single to chart was Rock My World which peaked at #28 during 1988. Sadly, they never managed to break into the American Top 40, although they came extremely close with the single Can't Wait Another Minute which stalled at #41. Also lifted from the Silk And Steel album, the song performed well in the U.S. Dance Charts, reaching #5. 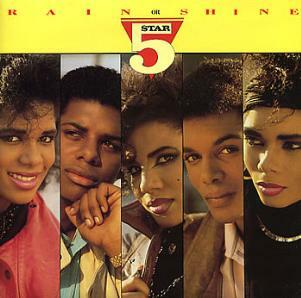 Five Star are still performing and appeared at both of the 2012 Eighties Rewind Festivals in England and Scotland. On 11th June 2016, the group performed at "Let's Rock Birmingham" at Sandwell Valley Country Park, England.